Home > Join RadarBusters’s VIP Club and Save Money and Time! Join RadarBusters’s VIP Club and Save Money and Time! Become a member of RadarBusters’s free VIP club and save up to 10% on selected radar detectors and jammers, our low price guarantee, entry into our quarterly radar detector give away and a copy of our acclaimed radar detector eBook, a value of over $20, as our free gift! Within seconds after signing up, you will get a personal email with your unique coupon code that will shave up to 10% off select models. Price Match Guarantee – If you find any authorized dealer advertising a product RadarBusters at a lower price we will match it! Entry Into RadarBusters’s Radar Detector Give Away! Every four months a random member is selected who will receive a new radar detector and/or laser jammer. 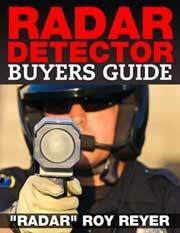 As RadarBusters’s free gift for signing up, you will also receive immediate access our Radar Detector Buyers Guide eBook! Not sure which radar detector and/or laser jammer is right for you? Choosing the right radar detector and/or laser jammer that is just right for your driving situation can be very confusing. As an example, you first need to have an understanding of the types of traffic enforcement devices the police use in your area and then you need to select the product that best fits your driving situation as well as your budget. Because of this, we’ve have put together the most comprehensive Radar Detector Buyers Guide eBook in the industry and it’s our free gift to you when you sign up. The differences between police radar/laser/vascar enforcement and what product(s) you need to detect them. • Why 25% of all traffic citations are written in error and how to beat your ticket. • How to properly mount your radar detector for maximum efficiency. • The features you need to consider when selecting a radar detector and which to avoid. 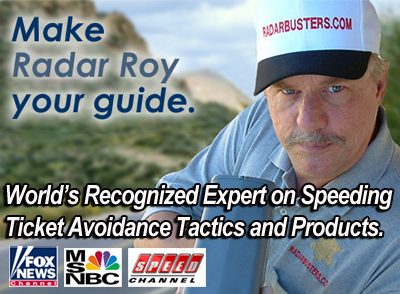 • Why Roy offered a $50,000 reward to anyone that can show him a Rocky Mountain Radar product that worked as advertised. • The top rated radar detectors and laser jammers categorized based on your budget.